We have many local and smaller museums in the Sacramento area. After living here for almost 20 years, finally visited the Crocker Museum and fell in love with the art world. The museum has recently been expanded and a new wing added. Previously, I had little exposure to enjoy other art mediums besides photography. Just thought I knew where my interests and focus really were. The new exhibit featuring landscape paintings by Kondos is entitled, “A Touch of Blue”. It opened on Sunday with a preview on Saturday for members. What a grand experience it was becoming acquainted with Gregory Kondos and his landscape work of our local areas. This is the first chance and exposure for me to see and really appreciate paintings of the Sacramento River, vineyards from Napa, and his Yosemite work. Looking at his paintings and knowing specific places where he stood to create his scenery was awe inspiring and empowering. Equally impressive was seeing the presentation of his work and the massive changes the gallery made to set up such a complimentary space to feature his paintings. 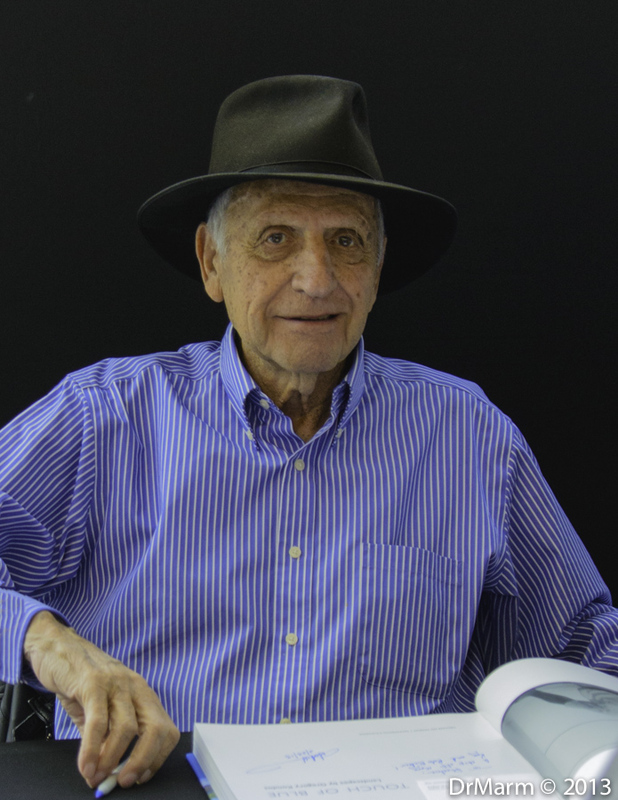 A benefit was the chance to not only view his work, but one could purchase his book and meet him face to face for his signature. What a kind soul…imagine it was a long day for him, meeting and greeting folks that appreciate his talents. It was an honor and pleasure to connect with him for a few moments. Mr. Kondos was so polite and patient! I was taking photos of him and the signing process, as we waited in line for our turn. Another exclusive option were two screenings of a movie with the history of his journey as an artist. Loved it! So glad we were able to view this and I can’t wait to dive into his book and be immersed in the stories and tales that accompany his works of art! A few images of Kondos signing and signing and signing. Felt honored to be in his presence and he was so generous with his time! Many admirers were snapping away with their phones. I brought out my Nikon and raised the ISO to accommodate the lack of flash. In the first image below, he caught my eye as he saw the camera, we were still in line with about 10 people in front of us–very kind to maintain his eye contact and to me it shows how “real” he is and can certainly connect with people. Yes, I did cut off part of his arms in order to not have other patrons appear in the image! I asked for permission to take his photo when we finally arrived in front of him. Already determined the ISO I needed and snapped off two shots and thanked him. Surprising me–he asked if I got it–what patience and thoughtfulness he shared! I said that I had. Another reason why it was a bit challenging to get his portrait was the glare from the windows! However, the black background was perfect. I just love the contours of his hat and it sure suits him well. With the focus of his exhibit on blue–the striped blue shirt seemed perfect for him. 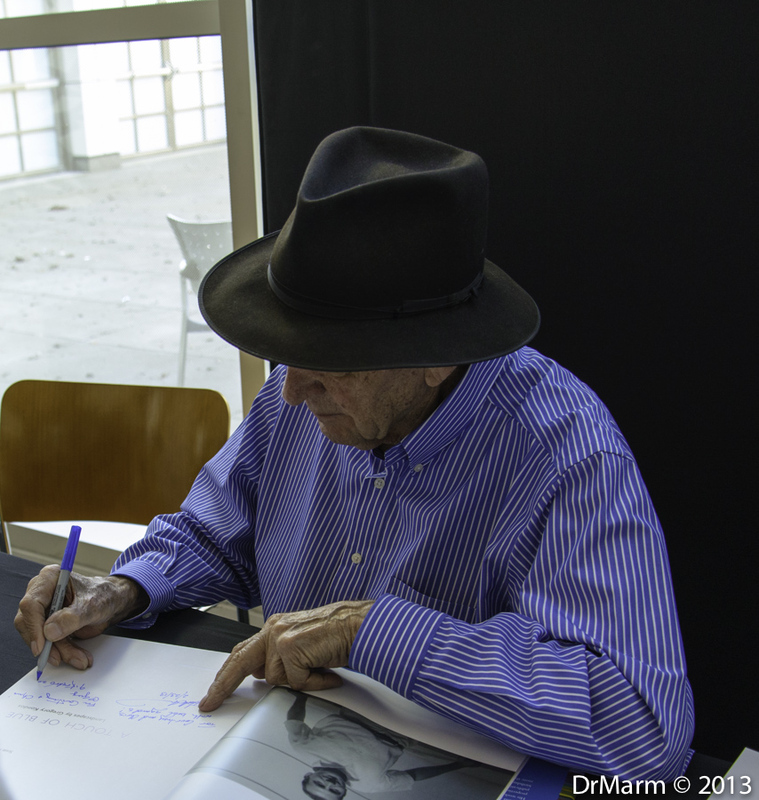 He was gregarious and focused when signing every book. The couple in front of us purchased four–gifts for their children, they shared. He chatted with them for a bit as he signed the many books. 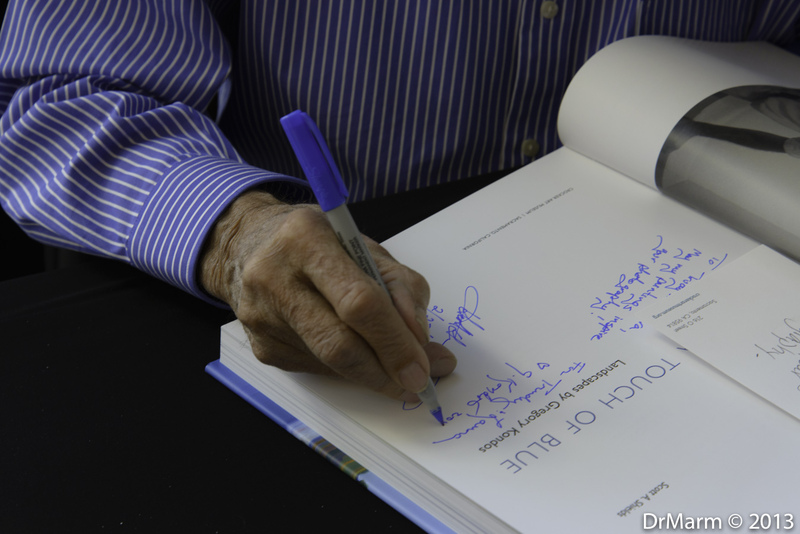 When he was signing our book–I was thrilled to capture his hand with my lens. 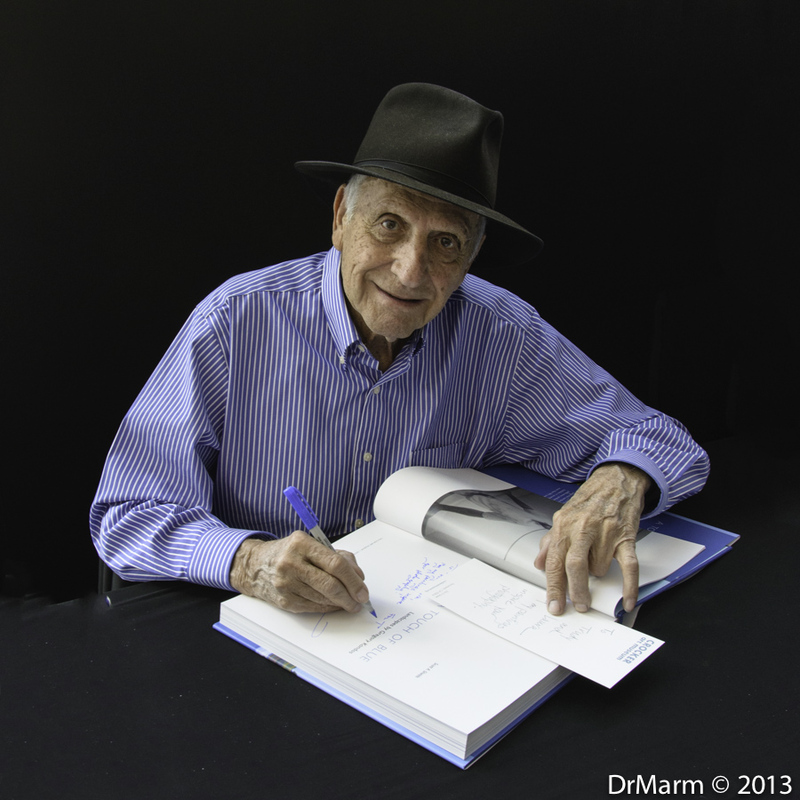 I shot quite a few images of his hands–interesting to note–he was signing books with his right hand and yet, in the movie he was shown sketching a river scene in charcoal and used his left hand for that! I have just started to read the book and wonder if his ability to use both hands will be mentioned. The author of the book, Scott A. Shields is also a man with connections to the Sacramento art world. Another exhibit featuring the paintings of Kondos will open in April at the Sacramento City College Gallery. This will also coincide with his birthday, he will be turning a young 90 years old in April. Kondos attended the junior college as a student as well as Sacramento State University. He returned to the junior college as a faculty member sharing his knowledge and passion with the next generation for decades. Clips in the movie also showed him working with artists in the field–what a memorable experience that would be! I will certainly revisit his exhibit soon, after I have spent some time enjoying the book and gaining more knowledge of his life story as an artist. 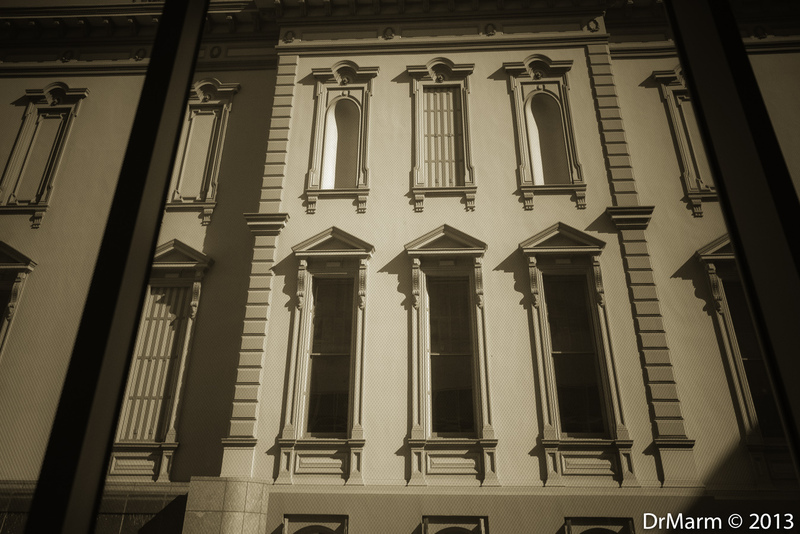 Understandably, photographic images are not allowed on the second and third floors of Crocker in honor of protecting the artists and their work. 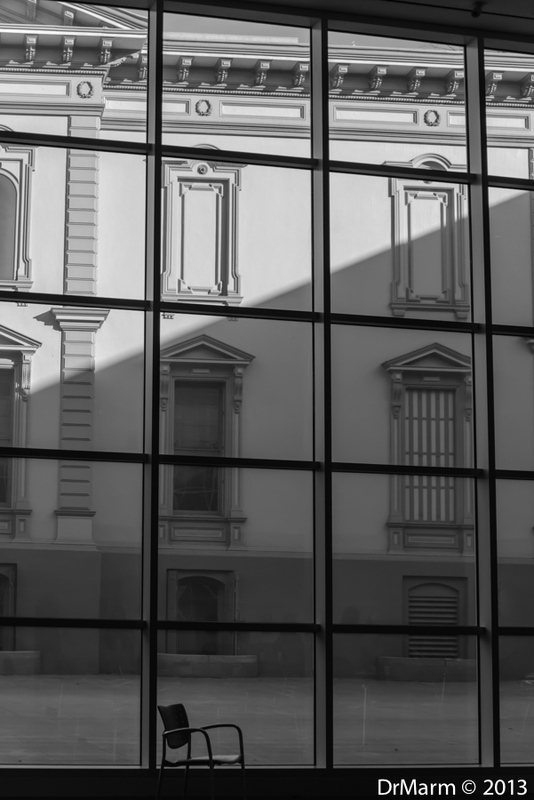 I still had my camera ready for any non-art photo options and connected with the window view looking out into the courtyard separating the two portions of the museum. The first image struck me with the symmetry and shapes within the view. 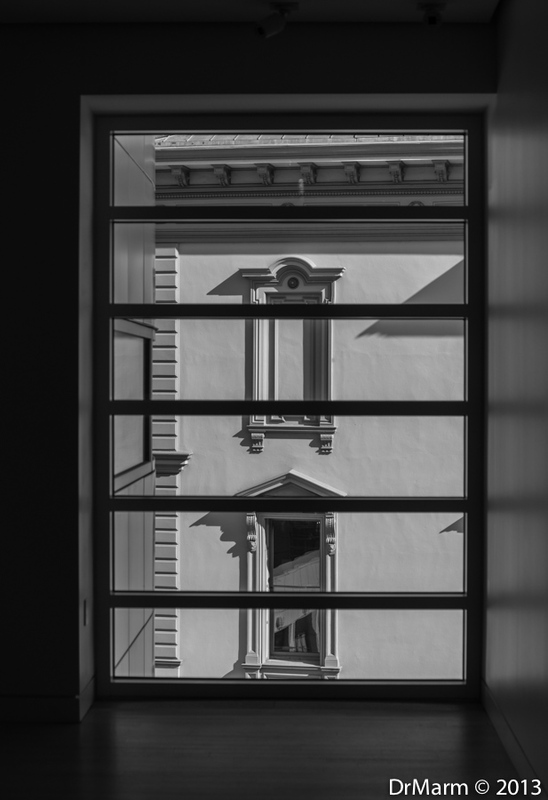 Here are a few of my favorite window views…. On the first level, I was really fascinated by the floor to high ceiling walls of windows looking into the courtyard. The line to obtain his signature was long and not moving rapidly, so I had plenty of time to look from where we were patiently waiting to meet Kondos. So, had some fun with my Nikon and a few presets in Lightroom to share my viewless window images. I appreciate the ability to make images of the same subject from various angles and process with different results. For the next image, I tried different lens corrections and liked the curve gained when I shifted the horizontal perspective. 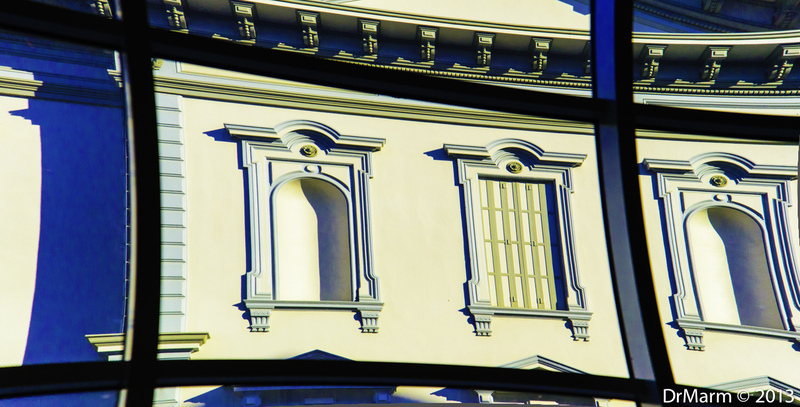 Equally fun was the elongated image I acquired with the vertical lens correction. The sepia tone gave me a greater shadow at the bottom, which I chose to keep. 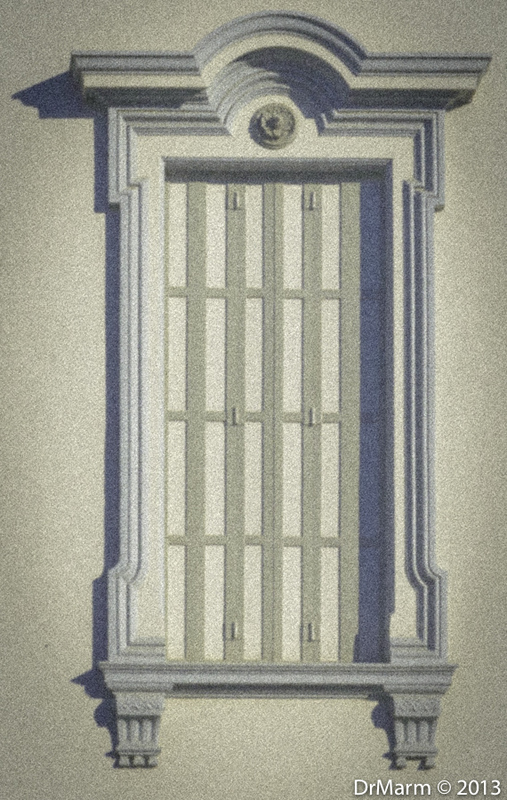 A few more window shots–some with a view of the courtyard! There is such a lack of color with these shots that even the first image in “color” appears to be black and white. Amazing what a few preset changes and slider movements can really change in an image. Be sure to check your local museums and look into becoming either individual members or a family membership.